It has now become impossible to ignore the rapid and ever-growing adoption of the photo and video messaging app, Snapchat. Started in 2011, Snapchat user numbers accelerated exponentially to have over 100 million active daily users by May 2015 and now boasts 8 billion video views a day rivalling even Facebook’s engagement with video. The platform has become a breeding ground for creative marketing and awareness campaigns for brands and sports alike as they seek to engage with millennials who are adopting Snapchat more than any other social media platform. The entertainment industry is taking a similar interest in the platform that offers an opportunity to deliver high-impact content and incentivises quick engagement due to the non-permanent nature of Snapchat that has won over so many of the under-25’s demographic - but are we seeing enough penetration from the industry? 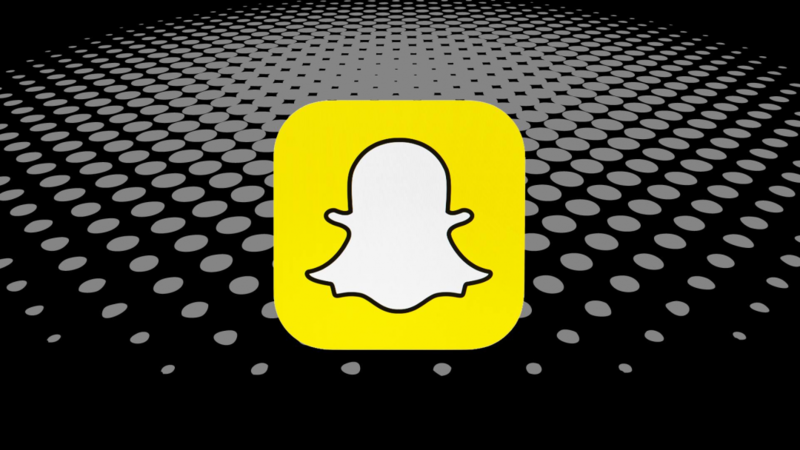 The benefits of Snapchat’s temporary nature are manifold for marketing campaigns, especially in reaching millennials. The longest any content can remain on the platform is 24 hours (using the app’s “Story” mode) but the majority of the pictures and videos sent across the platform last for only a few seconds as dictated by the sender. The biggest advantage this poses is how quickly this can generate engagement due to the limited time-frame it gives users and promotes a feeling of exclusivity for those who manage to seize the moment. This instantaneous nature lends itself perfectly to major events such as MTV’s Video Music Awards last year which used the app’s Story mode to offer up-close and personal encounters with celebrities on and back-stage. Snapchat followers surged towards the event with MTV receiving 12 million views during the event which eclipsed the 9.8 million viewers for the actual broadcast. This use of Snapchat took its cue from the NBA using a similar approach during its player’s draft in 2014. It seems the app is ideal for reaching out during appointment-viewing events such as these since there is no permanent thread to clog up with posts so the promoter can feel free to post as much and as often as like during the event. It is also a great platform for giving users a “sneak-peak” at new content and/or technology. Sony recently combined both during their promotion of the horror film Don’t Breathe as they gave Snapchatters a chance to sample the new 360 ᵒ ad format with immersive videos showing the film’s protagonists being hunted down with the viewers able to move the camera around to see if they could spot the blind assailant approaching. How much this campaign contributed to the film’s considerable success isn’t easily quantifiable but Sony was clearly satisfied with the level of interest it generated as Aaron Whale, senior vice president of international digital marketing, said “We look at single digit figures [when it comes to engagement]. The days where people are on a film site for 20 minutes are long gone.” soon after the campaign launched. 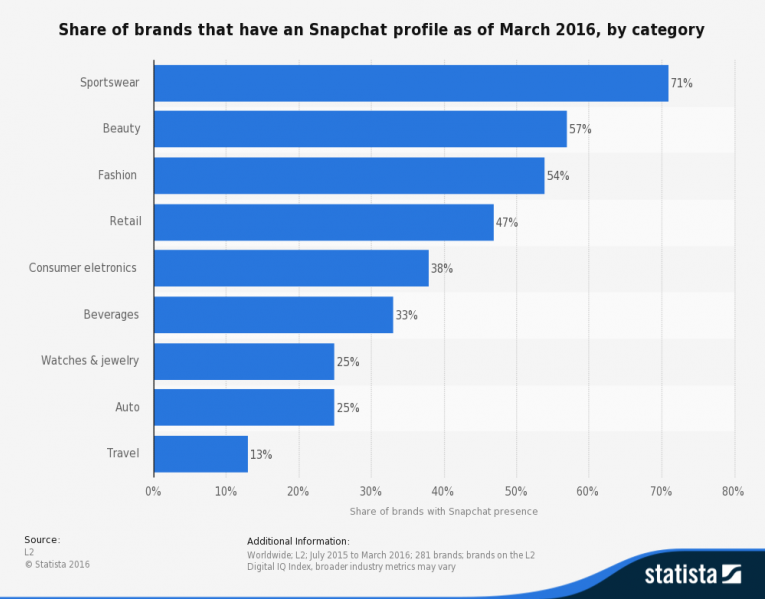 The other factor of Snapchat’s brevity is how it can lead to social cross-promotion with other social sites and apps as brands use the more traditional channels of Facebook and alike to call attention to their exploits on Snapchat. Arnold Schwarzenegger used his Facebook page to promote a special Terminator filter on Snapchat last year to help promote Terminator: Genisys which led to a huge engagement on the post with 54,000 likes and 2,500 shares. The filter was available for one week only and is a great example of the “get it while it’s hot” drive that the platform has. 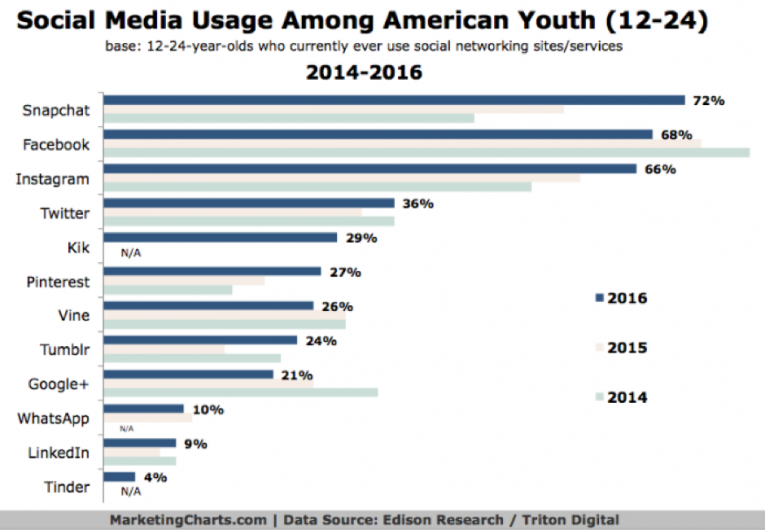 One of the big appeals for Snapchat’s overwhelming majority of younger users is that the app is seen as an adult-free zone where they can be free to post away from the prying eyes of parents and such who dominate other social media like Facebook and Twitter. However, this is possibly why the entertainment industry is still only getting to grips with the platform and it is relatively under-represented on it. It is no surprise to see such youth-orientated areas of commerce like sportswear, fashion, and beauty leading the way as teens and young adults tend to be more fixated on self-image but entertainment’s lack of presence may not be as simple as a lack of awareness of the benefits. One reason is, despite Snapchat’s meteoric rise in users, it is still in third place behind Instagram and Facebook with Snapchat having less than 10% of the latter’s daily users so campaigns on Snapchat simply do not offer the same overall level of exposure as the two market leaders do. Another is Snapchat doesn’t offer the same level of analytics as other social media and while the platform has softened its stance on targeted ads (which Snapchat CEO Evan Spiegel once described as “creepy”) it can feel like there’s a lack of precision with the app in comparison to its competitors. There is also a degree of osmosis for the entertainment industry with Snapchat as other companies and influencers on the platform will key into trending entertainment products to remain relevant in much faster paced ecology. For instance, toy company Sphero tapped up a key influencer, Shaun McBride, to promote their new BB-8 toy for the upcoming Star Wars film which led to the toy selling out in mere hours but it also created extra exposure for the Star Wars brand by proxy. The fact remains, though, with younger users receding on Facebook at an increasing rate and Snapchat hungrily picking up the deserters (as shown in the graph above), the entertainment industry needs to make its presence felt more directly on the platform to ensure it is maximising its audience share. With several great and successful campaigns showing the way for the industry on Snapchat which provides an instant gateway to a huge millennial market, it is the ideal time for entertainment to engage fully with the platform and reach out directly to a younger audience.